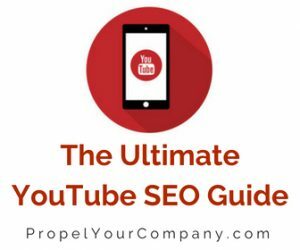 We’re going from beginner to advanced with YouTube SEO Strategies in this post. First, let’s go over the difference between ranking on YouTube and Google. YouTube is one of the most popular search engines (along with Google). And, if your video on YouTube covers a popular topic/keyword, it can be a goldmine for driving traffic to your website, creating brand awareness, increasing sales, and the list goes on and on. That is if it’s properly optimized (SEO). Many people have a bit of a misperception on YouTube SEO. They try and/or want to rank high on Google organic search for their YouTube videos. This is the wrong way to optimize your videos. When you’re optimizing your YouTube videos, you want to focus on optimizing them for YouTube search. You have to think of YouTube as a separate search engine from Google. YouTube videos and channels don’t drive a lot of traffic from Google organic searches. Meaning it’s not as likely that your video will rank high on Google Search as it would on YouTube. Google just doesn’t display as many videos in the top spots, whereas YouTube only displays videos. So, think of them separately. How does YouTube Rank Videos? All three stages play a vital role in your YouTube marketing success. You want to find the keyword sweet spot for each of your videos. If you’re just getting started, gather a list of keyword ideas. Type in your keywords into YouTube search to see what appears. YouTube will start to autofill in and provide you with a bunch of keywords related to your keyword. This will help you to generate a list of keyword ideas. Target keywords that are long tail (longer keyword terms). Now, that you’ve got an idea of what keywords might be right for you, let’s take it to the next level. Spy on your competitors for any search term you can find that’s ranking well on YouTube that would be appropriate for your video. Look at what titles, descriptions, and tags they’re using. You can use a tool like vidIQ (https://vidiq.com/) to assist. Using vidIQ, look for a video that’s ranking well for a particular keyword in your niche that doesn’t have a lot of subscribers. That means that keyword falls into the category of a keyword sweet spot for you, leaving lots of room to rank (for channels that have lots of subscribers on them). Audience retention, which is a significant ranking factor, is the percentage of video a viewer watches. The longer someone watches your video, the better. Person A creates a video that’s two minutes long. Person B creates a video that’s five minutes long. Each video has the same audience retention of 50%. Which video will YouTube promote more, or are they equal? The answer is: person B’s video will outrank person A’s video. 50% of Person A’s video is equal to one minute. 50% of Person B’s video is equal to two and a half minutes. Two and a half minutes is longer than one minute. YouTube wants to promote videos that people watch for a more extended period. Meaning, the more minutes that people watch your video, the more likely it is for YouTube to boost your rankings. Please note, that does not mean you should drag your video out to be extra-long just to try to increase your YouTube rankings. Total watch time is also a ranking factor. Total watch time is the accumulative number of minutes people have watched your video over its lifespan. How do you develop a high-retention video for YouTube that will increase total watch time? Make viewers want to stay till the end by preview what’s coming up later (towards the end of your video) in the beginning of your video. Give them a reason to stick around. There’s also another ranking factor that many don’t take into account: session time. Session time is the total amount of time someone spends on YouTube after they start watching your video. If a person watches your video (part or) all the way through and then leaves YouTube, that’s a loss for YouTube. Now, if someone watches your video (win for you) and then stays on YouTube to watch another video, it’s a win for YouTube. If they remain on YouTube and watch another one of your videos, that’s a double win for you as YouTube will up your rankings and have you show up in the suggested video section. What do you do to guarantee that someone stays on your YouTube channel for an extended session time? Optimize your playlist. There’s more detail about optimizing your playlist later in this article (FYI- The previous sentence is a great example of the type of things you should say at the beginning of your video. Now you want to keep reading to find out about optimizing your playlist). For now, just note that if someone watches one of your videos in a playlist, it will automatically play the next one in the playlist. Equaling… You got it: a longer session time. Optimize your channel for more views and subscribers. How? Focus on the header, playlists and about section. You can find the exact dimensions here. Make sure your header image is sized appropriately and visually appealing. Also, add links to your other social sites and website. Just as necessary as the header image, make sure your icon looks professional. Create a trailer intro video that welcomes people and briefly tells them what your channel is all about and why they should subscribe. Address who your channel is designed for at the beginning of the video. End the trailer with a CTA (call to action) to subscribe. If you haven’t optimized your about section for the top keywords you want to rank for, you’re missing out. Fill the about section out. A well optimized about page can also rank in YouTube for popular keywords. Use the keywords you want to rank for, but don’t keyword stuff. We briefly mentioned the importance of playlists earlier (see I knew you would stick around and read on from that section). Set up playlists and add them to your general page. Use benefit rich playlist titles. Give your playlist a compelling name that will encourage someone to click through. I also recommend having at least four videos in each playlist. Since after YouTube plays the first video, a person landed on, it will play the next in the playlist. If the viewer stays watching for the following videos in the playlist, it will increase their session time. Now that we’ve covered the best SEO practices for producing your video let’s dive into how to optimize your video when you load it. YouTube lets users manually input the video title, description, tags, etc. These items all make it easier for your ideal audience to find you. All of these items and the ones listed below should ideally optimize from the get-go. Before you upload your video, change the name of it to include your keyword. You already did your keyword research prior, so this should be easy. Make sure you get the keyword you want to rank for as early in the description as possible and make the title interesting to entice people to click through. Most people write a very short few sentence description. Big mistake for them… easy win for you. Your video description helps YouTube and Google understand the context of your video. And the better they understand your video, the higher you’ll rank (and the more often you’ll show up in the Suggested Video sidebar). Include your keyword in the first 25 words. Make the description at least 250 words. Use your keyword 2-4 times. 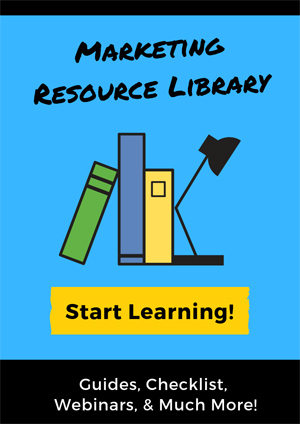 Include links to reference materials on your website. Add timestamps that correlate your text to the time in the video. This lets viewers jump to the section they’re looking for, aiding in better engagement. Add CTA (call to action) – Suggest that they subscribe to your channel or spoiler alert: keep reading, we’ve got the ultimate CTA a little further down in this post when we dive into how to increase audience interaction. These tags are not as important as title and description, but if you can try to use your first tag as the exact keyword, then a few variations, the overall topic. Be conservative. Don’t go tag crazy. Adding transcripts provides YouTube with more information about the content of your video. You need to upload your transcript manually. I always suggest those that are focusing on local SEO make sure to include their location variable words in the content of the videos. Don’t make YouTube guess. Yes, YouTube can detect topics and keywords from your video, but you need to upload a transcript manually to optimize your video. Get the details on creating a transcript file. You can upload a custom thumbnail in the video manager, under Info & Settings. Timing matters. The ideal time to post to YouTube is between 12:00PM-4:00PM during the week and 9:00AM-11AM on the weekends (Eastern time). The best days to publish are Thursdays and Saturdays. Audience interacting signals are a huge ranking factor for YouTube. This means the more like, comments, and subscribe the more YouTube will show your video to more people. How do you get more audience interactive signals? Here are some tricks to getting more audience interactive signals. Instead of asking your viewers to share their thoughts, give them an easy to answer multiple choice questions. This makes it super simple for them to comment. And people love to give their input. Also, the more positive interaction someone has with your video, the more likely they are to share and recommend your videos! Great, you’ve got your video loaded and optimized, now what? Promote it. Promote it. Promote it. Did I mention… Promote it! Unlike traditional SEO for websites, where you continue to gain momentum from the extended time your content sits there, YouTube is different. If your video performs well in the first 24hours it a winner. If not, you should put forth your best efforts to improve the rankings, but chances are you’re not going to see a massive jump in rankings. So, what can you do to gain traffic and momentum in that first crucial timespan? Share your videos and respond to those comments! Make sure you’re sending out your YouTube video via social media channels and email it to your database. Again, ideally promote your video as much as possible during those first 24hours. You can also mention your video on Quora, Reddit, and other online communities. If you decide to do this, don’t be spammy and just include a link to your video. Search for topics/questions related to your video and type out a helpful response that positions as the industry authority leader that you are. At the end of your response embed your video. 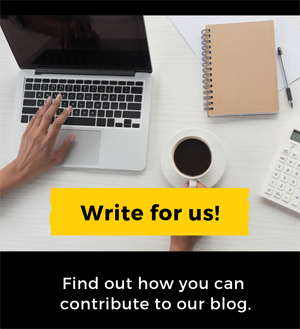 Write a blog post on the same topic and embed the video in it. You can use a variation of your transcript. If you don’t want to type it all out, look for someone on Fiverr to transcribe it for you. Use a link in all emails sent out from your staff in the email signature. Add a line like “Check out our latest YouTube video” with the link. Boost social media posts that include the video. Advertise through YouTube. They have a variety of advertising options. I hope after reading this, you’re ready to tackle your YouTube videos with fresh insight. I can’t wait to hear how it goes. Have a question you want to be answered. Click here to ask the experts! 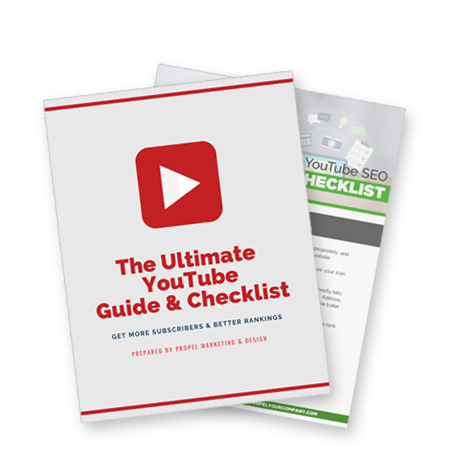 Where should we send your YouTube Guide & Checklist?